This is a great tattoo done at the TAT Cave in Chicago. 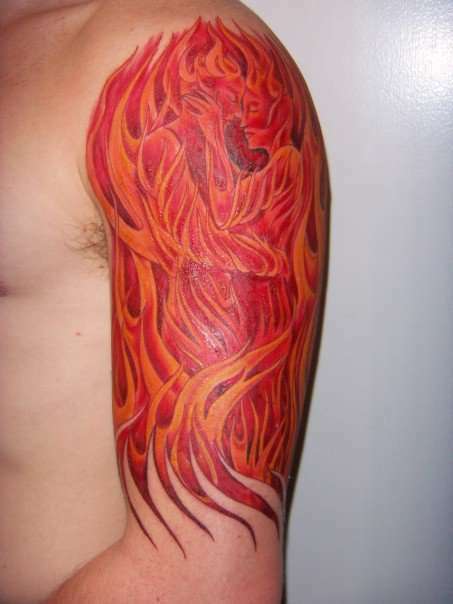 It is based of an oil painting titled Flames of Passion. It conceptually is meant to balance my "Tree of Knowledge Tattoo" on my other arm. Wow, I absolutely adore this piece.